In February, culinary arts students demonstrated how to make their healthy snacks at James Bowie Elementary School. 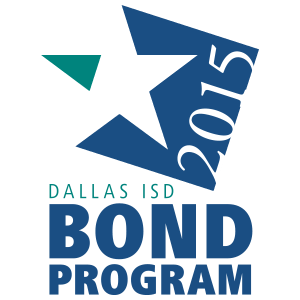 Bowie was the top Dallas ISD school in last year's 21-Day Challenge. 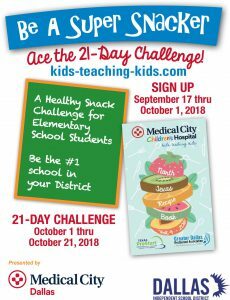 Time is running out for Dallas ISD elementary school students to sign up for the 21-Day Challenge – participants must register by Oct. 1. 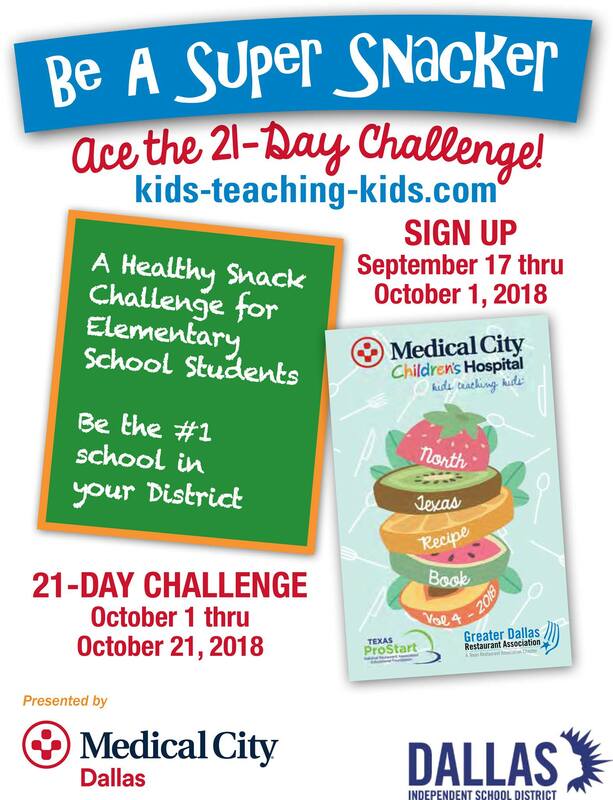 The annual contest, sponsored by Medical City Children’s Hospital, challenges students to make healthier snack choices for three weeks. Those healthy snacks should contain at least one fruit or vegetable, and recipes available on the website can provide inspiration and great choices. Kid-friendly recipes are developed by culinary arts students in the Texas ProStart program, along with partner the Greater Dallas Restaurant Association. Registering in the challenge qualifies the top participating schools for prizes and bragging rights (not to mention the encouragement to eat all those yummy snacks). Learn more and register at www.kids-teaching-kids.com.